DISNEY, Fla. - It’s still early in the season, but the Newington baseball team has already shown a knack for late-game rallies. Down two runs in the bottom of the sixth inning, the Indians scored five of their six runs in the frame on extra-base hits and beat Windsor, 6-2, at Disney’s Wide World of Sports Complex down in Florida on Monday afternoon. 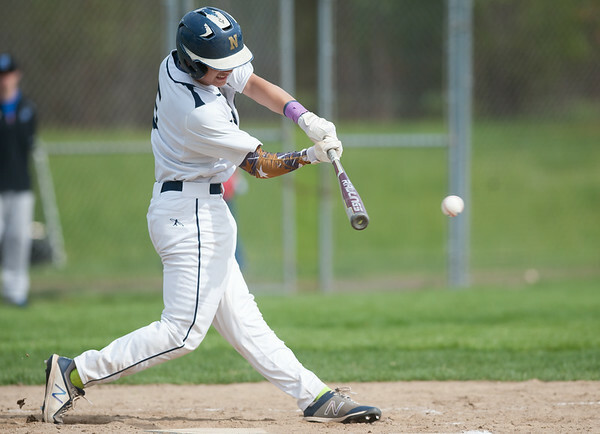 Jack Kelley got Newington (2-0) on the board with a game-tying triple in the inning. Jon Pyne followed up with a go-ahead RBI single and Gunnar Johnson provided some insurance runs with a bases-clearing, three RBI triple of his own. Ryan Saindon also went 2-for-3 in the win. Ethan Errera picked up the win for the Indians after throwing two scoreless innings in relief. Errera had little trouble in dealing with the Warriors’ hitters. He struck out four and didn’t issue a walk or base hit. Berlin 17, Windsor 0: The Redcoats put on quite an offensive showing Monday afternoon. Berlin had nine different goal scorers find the back of the net at least once in a game that was 14-0 at the half. T.J. Hebert, Mark Bednarczyk, Tyler Ralph, Nick Grant each finished with a hat trick. Brian Formica scored twice, while Kevin Dunn, Luke Wininger, Cole Primo and Mike DeMaio each finished with a goal apiece. Hebert also won 15 of his 16 faceoffs, while Sebby Fusco finished with three saves. Bulkeley 3, New Britain 1: Hurricanes head coach Michelle Abraham is starting to see the improvement in her players. They just have to see it themselves. Monday night was another step for the first-year program, which despite losing to the Beavers, managed to come away with its first set win of the season. After dropping the first two sets, New Britain won the third 25-23 before losing the fourth. The only set the Hurricanes struggled in was in the first, a 25-12 loss. Bryan Rodriguez (4 kills, 4 blocks), Jerry Chungong (10 assists, 3 kills) and Randy Slart (7 kills) highlighted New Britain’s effort. Newington 3, Cheshire 1: Julian Ortiz came off the bench and delivered a crucial service ace to seal the match for the Indians and maintain the team’s perfect record, as Newington beat Cheshire 3-1 for the second time in the early season. Sophomore Jacob Baclawski led the team with 10 kills, while Leonel Caceres dished out 27 assists. Collin Liedke led the Indians with 12 digs in the winning effort. East Catholic 236, New Britain 271: The Hurricanes were without a familiar face on the course Monday afternoon’s season opener in head coach Rich Carlson, but still completed tough throughout the match. Kendra Levesque was the Hurricanes’ low scorer on the day with a 56, two strokes behind medalist Liz Long from East Catholic. Leah Gaffney (61), Paulina Zywno (76), Morgan Giantonio (78) rounded out New Britain’s top four performers on the day. Posted in New Britain Herald, Berlin, New Britain, Newington on Monday, 8 April 2019 20:58. Updated: Monday, 8 April 2019 21:01.